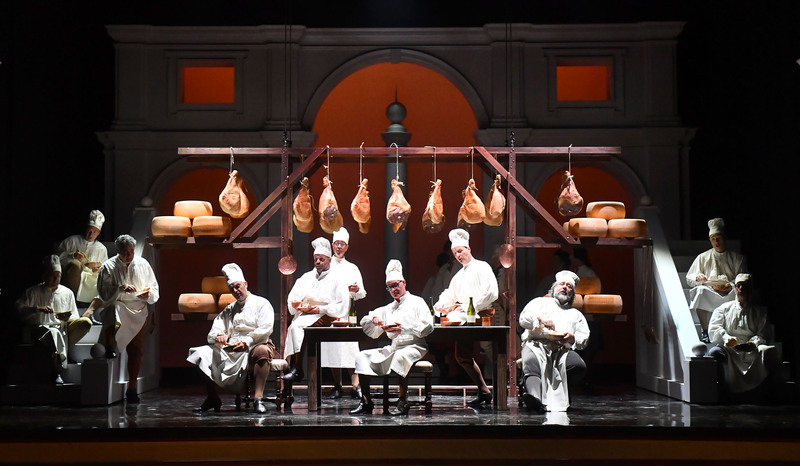 Experience one of the world’s most cherished tragic operas, by Puccini. 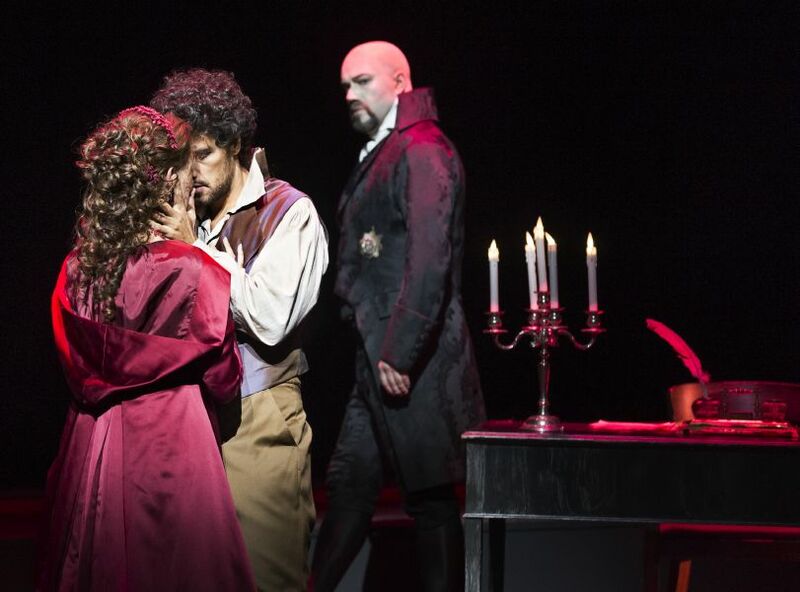 The story of Tosca, who sets out to save her beloved, is rife with jealousy, murder, lust and deception. 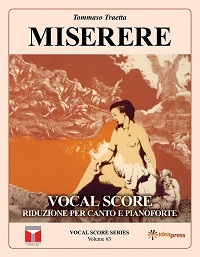 Add to this Puccini’s marvellous music and beautiful arias and the opera stage is set for a night of emotion. Tosca is in love with artist Mario Cavaradossi but is pursued by the chief of police, Scarpia, who uses every means, even miscarriage of justice, fraud and murder in order to conquer this beautiful woman. 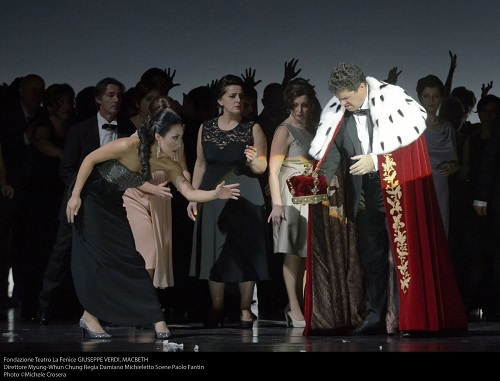 Scarpia’s predator instinct and Tosca’s personality clash with disastrous consequences. 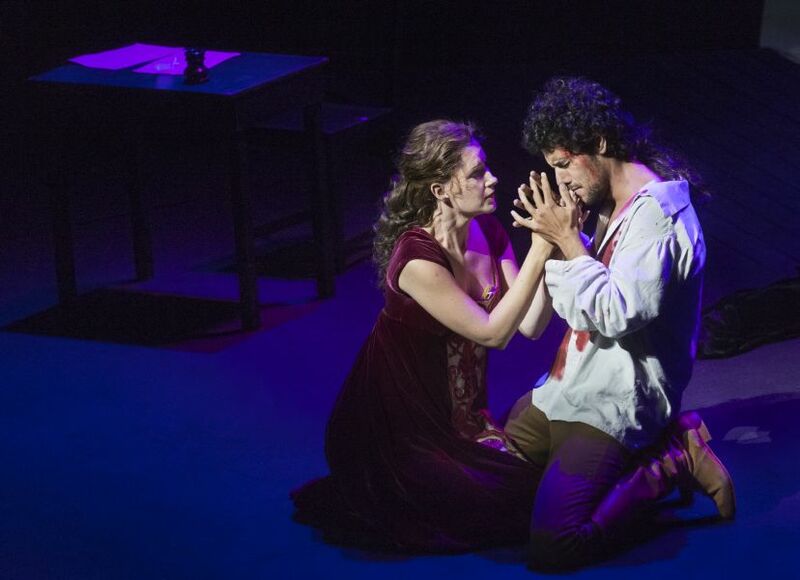 If you have not previously experienced Puccini’s masterful opera then you can expect a sensation – and if you are already familiar with Tosca you can look forward to a moving reunion. Peter Langdal’s successful staging has played to full houses in previous seasons. The title role is performed by Ylva Kihlberg. 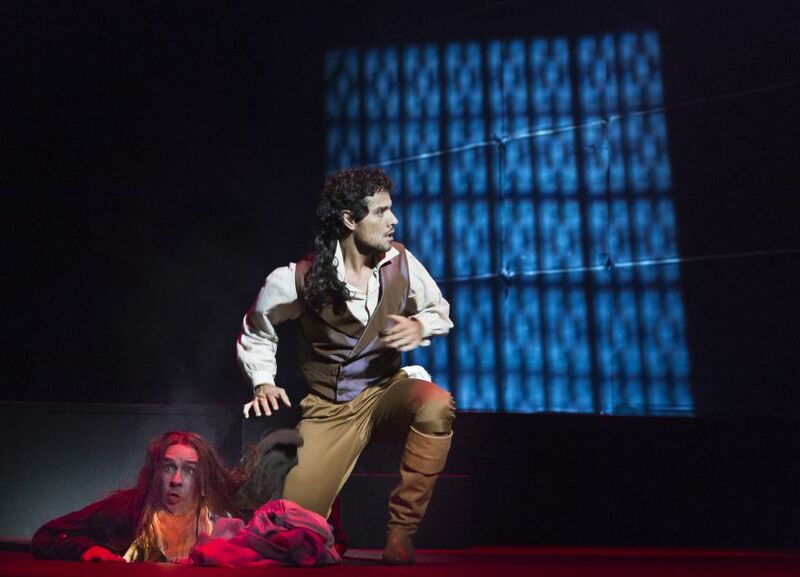 Starring as Tosca’s beloved Mario Cavaradossi is the young Italian-Brazilian tenor Tiago Arancam who is taking the world’s opera stages by storm. 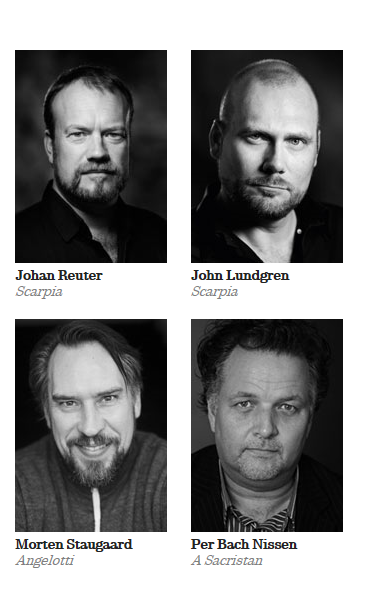 Tosca is performed in Italian with Danish supertitles. Duration: 2 hours 30 minutes. 2 intervals. Cesare Angelotti, a political prisoner, has escaped from the Castel Sant’Angelo in Rome. He seeks refuge in the family chapel at the church of Sant’Andrea della Valle using a key hidden by his beautiful sister, Marchioness Attavanti. The Sacristan turns up but thinks that the noise at the door was made by the artist Mario Cavaradossi. The painter is currently working on a depiction of the Madonna inspired by the Marchioness, who has sat for the portrait in the church over the last couple of days. 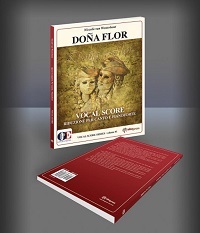 The artist also likens the portrait to a miniature of the woman he loves, the singer Floria Tosca. 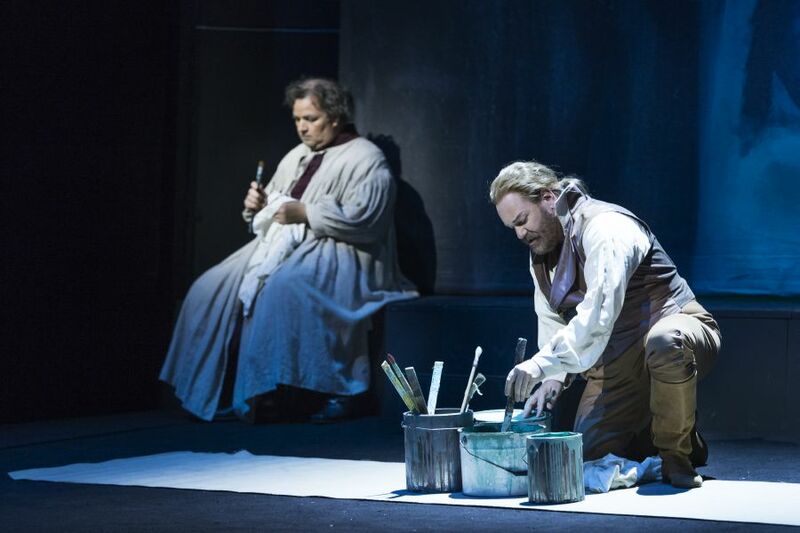 Once the Sacristan has left, Angelotti comes out of hiding and recognises Cavaradossi – a friend whom he can trust in his struggle for the republic. Cavaradossi gives him the lunch basket prepared by the Sacristan but urges Angelotti to hide in the far end of the chapel when he hears Tosca, who goaded by jealousy pounds on the church door and calls out to her lover, convinced as she is that he has locked the door to seek privacy with another woman. He lets her in. Cavaradossi attempts to reassure Tosca, but she notices that the eyes of the Madonna on the portrait resemble those of Marchioness Attavanti and she accuses him of cheating on her. He, however, assures her that she has nothing to fear. 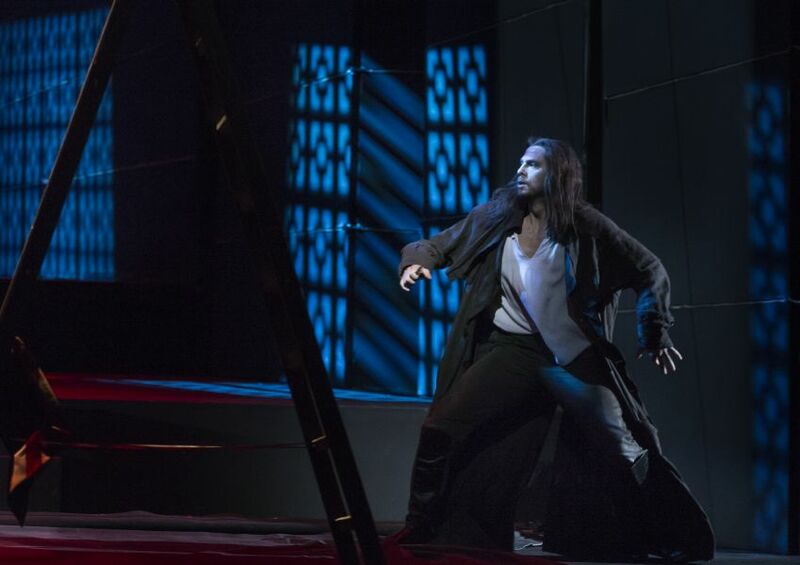 When Tosca has left the church Cavaradossi fetches Angelotti and together they find the women’s clothing that Angelotti has hidden as disguise for his escape. 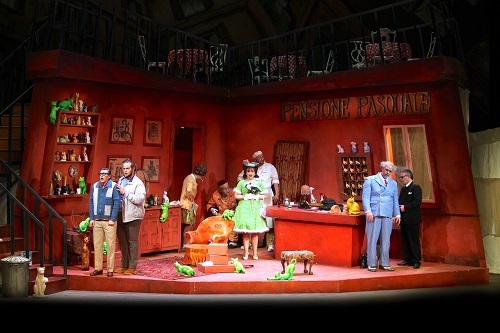 Cavaradossi advises Angelotti to seek refuge in his personal villa. No sooner has Angelotti left the church before canon fire is heard from the Castel Sant’Angelo, signalling that the jailbreak has been discovered. 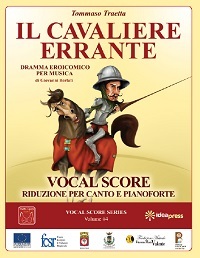 Cavaradossi decides to accompany Angelotti through Rome. The Sacristan returns with tidings of the defeat of Napoleon by the Austrians, thus securing the continued rule of monarchy in Rome. 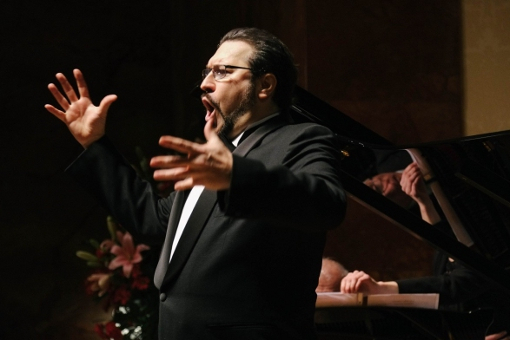 The church chorists rejoice in the prospect of grand celebrations to be held at Palazzo Farnese the same evening, including a cantata by none other than Floria Tosca. There is also promise of a bonus to be paid for the Te Deum, staged by the church as part of the festivities. Baron Scarpia of the secret police turns up, which immediately quells the jubilation, although revellers are quick to reassure him that their jubilant behaviour is a mere expression of their joy of victory. Scarpia and his henchmen look for leads in their search for Angelotti. They soon find Attavanti’s fan in the church, which Scarpia uses to convince Tosca – the object of his desire – of Cavaradossi’s faithlessness. 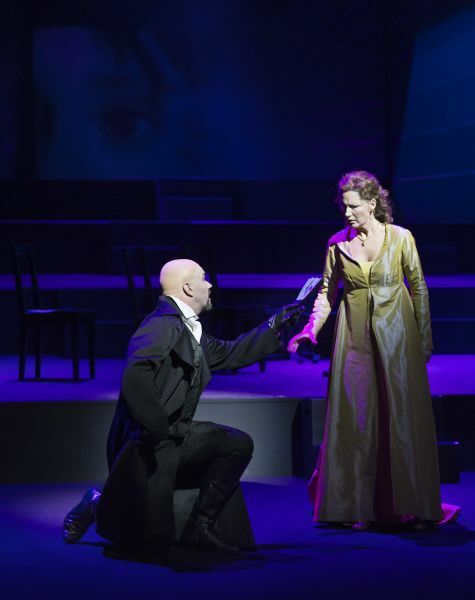 He sends a spy to trail Tosca while she hastens to Cavaradossi fearing she will find him in the arms of his mistress. 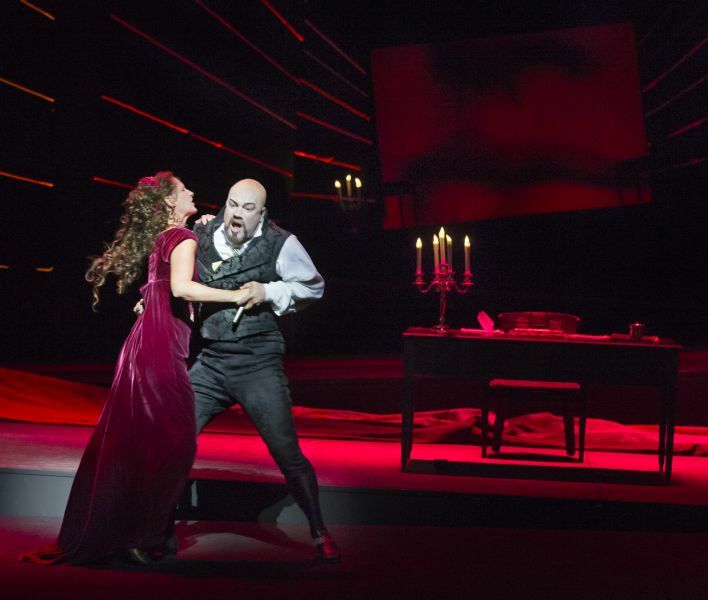 Tosca and Baron Scarpia are to rendezvous the same evening, following her performance. 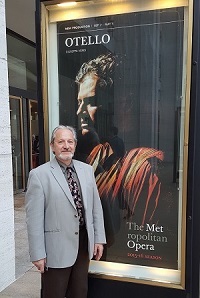 Scarpia hopes his scheme will work – soon Tosca will be his! Scarpia is unsuccessful in his pursuit of Angelotti but his men arrest Cavaradossi instead on the charge of abetting a fugitive. He refuses to reveal Angelotti’s hideout and Scarpia orders him to be interrogated in the next room. When Tosca arrives her dilemma soon dawns on her: she can only save her beloved Cavaradossi from torture if she reveals Angelotti’s hideout. 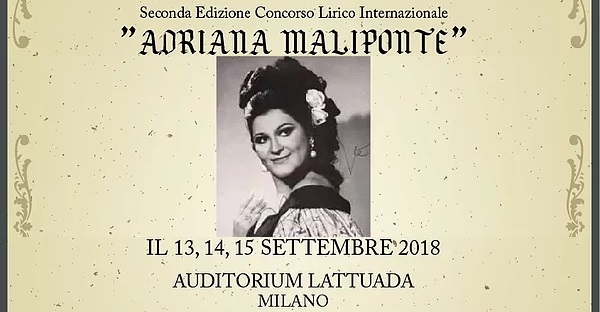 At first she refuses to cooperate but is soon unnerved by Cavaradossi’s harrowing agony and reveals Angelotti’s whereabouts. Cavaradossi has, however, confessed to republican leanings and is to be executed at dawn the next day, unless Tosca yields herself to Scarpia. However, Angelotti commits suicide in his hiding place before the arrival of Scarpia’s men. 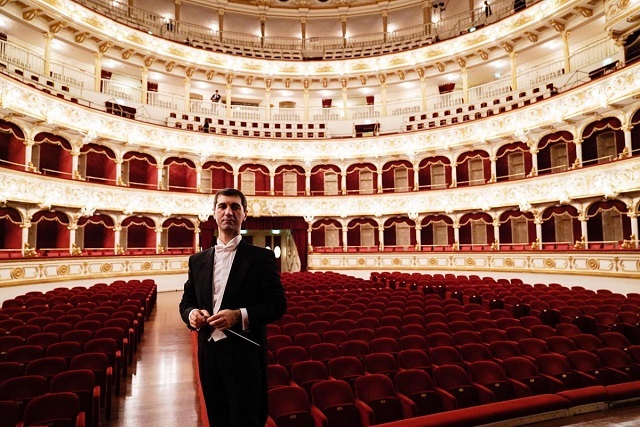 So is Cavaradossi now to face the firing squad? Initially, Tosca agrees to Scarpia’s conditions for Cavaradossi’s release but she also demands free passage out of Rome for them both. 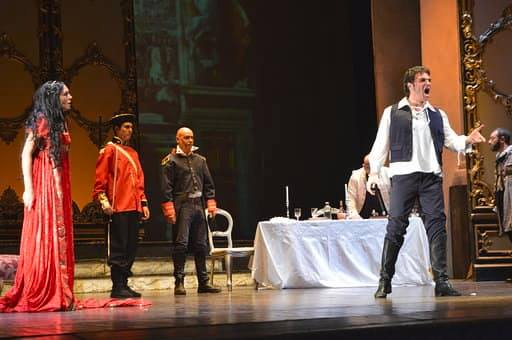 Scarpia issues a pass and orders a mock execution of Cavaradossi using blanks. But Tosca has a trump up her sleeve. She stabs Scarpia with a dagger and flees from the room with the pass in her hand. 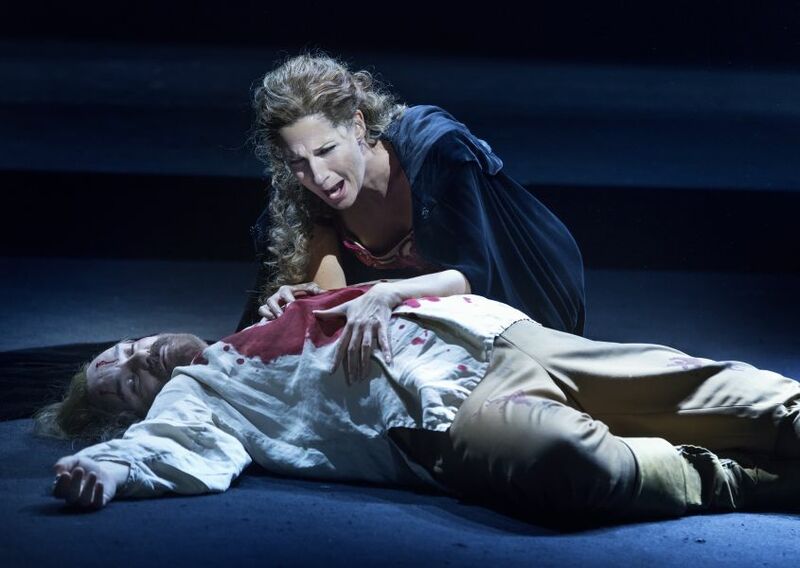 At the break of dawn, Cavaradossi prepares himself for death. 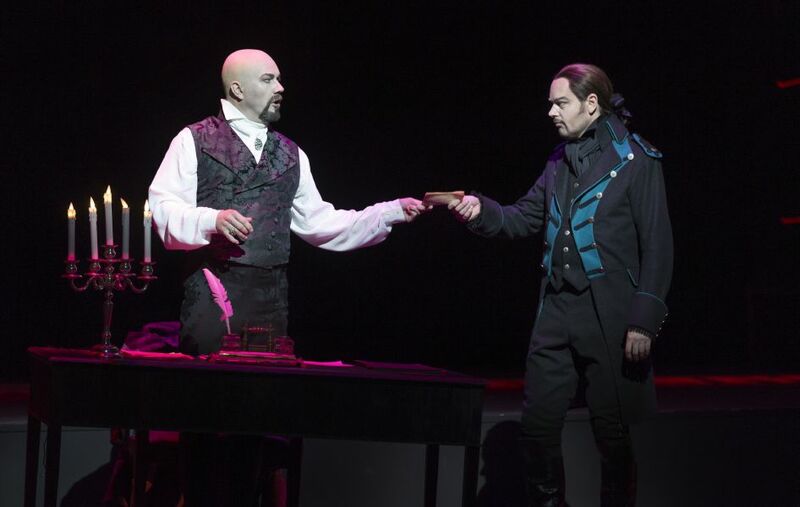 He bribes a guard to bring a farewell letter to Tosca and he recalls their happiest hours together. Tosca, in reply, shares the good news with him and they rejoice in the prospect of starting a new life together far from Rome. 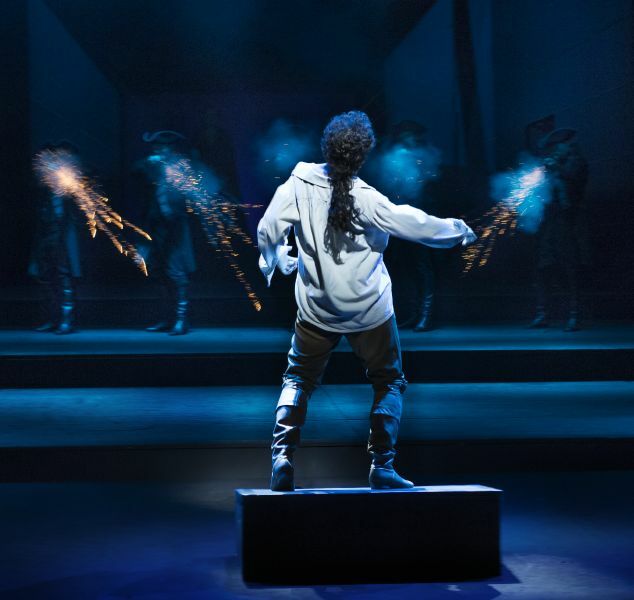 Cavaradossi faces the firing squad with a self-assured air as the soldiers raise their muskets. When the shots are fired he falls down to the ground. 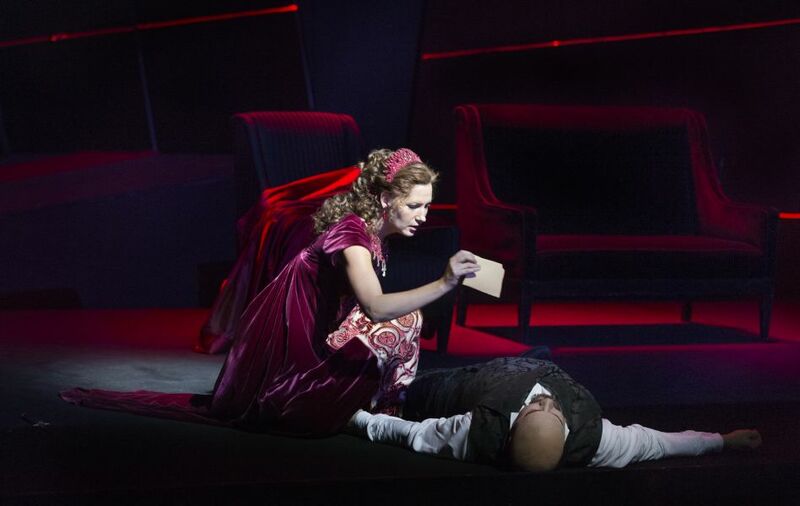 Tosca’s future happiness now depends on the unfolding events of the next few seconds….